The cold months of winter. Don’t they make you just crave a blazing fire in the fireplace, a nice cozy blanket, and a bowl of warm soup? 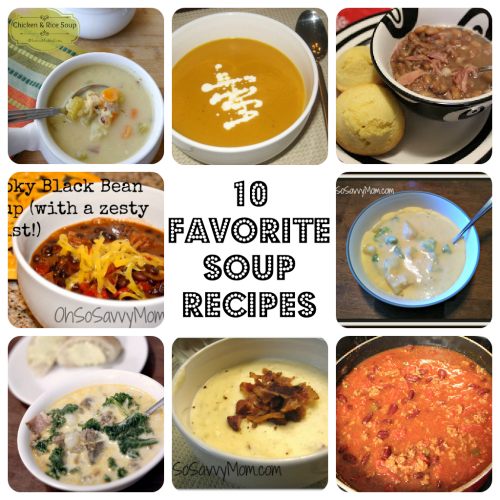 I’m always looking for delicious new recipes to try so I asked some of my blogger friends for their favorite soup recipes that they’ve made. 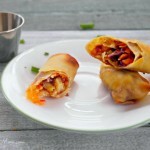 These recipes are tried and true delicious. White Bean and Kale Soup: Karen from Desert Chica Ramblings is pretty handy with the soups. She came up with this delicious, healthy, and inexpensive soup. Garnish with homemade croutons and grated Pecorino Parmesean cheese! Yum! 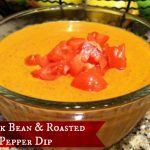 Easy Fajita Soup: Another keeper from Karen of Desert Chica Ramblings. This recipe is one that you can throw together in a jiff. She admits that it doesn’t beat the White Bean and Kale Soup, but it is perfect for those nights when you need something yummy quick. Creamy Chicken Soup with Rice: Going once, going twice, going chicken soup with rice…Liz from Nut in a Nutshell recalls this line from a popular Maurice Sendak book every time she makes this soup. If you’re in the mood for a creamy soup this one looks amazing! Zuppa Toscana (Olive Garden Copy Cat) Soup: Who doesn’t love to recreate delicious restaurant dishes. This soup with hot Italian sausage, bacon, and kale is not only delicious, just like you’d find in the restaurant, but it’s also easy to make! 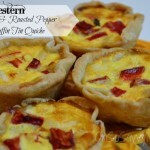 Thanks so much Hanan from Lilac City Momma for this recipe! Easy Chili: Chili has long been a favorite of mine. 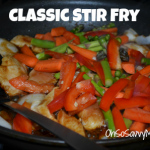 It can be made very simply with minimal ingredients or gussied up with lots of veggies and fixins. Sara from Mom Endeavors has the perfect easy chili recipe that can be served “as is” or used as a base for a more fancy schmancy chili. Ham and Bean Soup: If you’re in the mood for a very hearty soup, this Ham and Bean Soup from Mom Endeavors may be right up your alley. Butternut Squash Soup: Another recipe that is both simple and healthy. Butternut squash is full of flavor, antioxidants, and is low in calories. You can enjoy this soup without worrying about your waist. You can thank Michelle from Everything’s Abuzz for this delicious find! “Black Angus” Potato Soup: So, I admit, the name of this soup is a bit misleading. It doesn’t really have any black angus beef. In fact, it doesn’t have any beef at all. 🙂 This recipe is for the bacon lovers out there! Loaded with bacon and creamy goodness you’ll find it hard to stop at just one bowl. Zesty, Smoky Black Bean Soup: Another one for the bacon lovers. This non-traditional take on black bean soup will impress your family and guests alike. Creamy Potato Soup: This one is great for those nights when you look in your pantry and just can’t figure out what to make. With only 6 ingredients you can prepare this soup on a budget and in a hurry. Disclosure: I wrote this article in conjunction with the Hormel Extended Family blogger program. I received promotional items. No other compensation was provided. Thanks for this! I love making soup in the winter, especially on the weekends when we've been outside in the cold all day. Mmm, that zuppa toscana sounds good. I love Olive garden's soups - I saw a copycat for the chicken gnocci that I'm dying to try. I love soups any time of the year. I would like to try each one of these. We loooove soup thank you for this, I will be trying some soon! I love soups and the vast majority of these sound delicious to me. pinning and will be trying some. Cold weather is right around the corner, and I love to make soup! I like so many of the wonderful recipes here and I am going to make a few next month. Hot soup is yummy! Thanks for the recipes! I'd love to try and make some of these delicious soup recipes! The Creamy Chicken Soup with Rice sounds so good. I love soup year-round! We love soup in my house. although it's a little hot to have it often now, the kids still heat up a can from time to time but home made is so much better. These look like great recipes and I really want to try the Zuppa Toscana (Olive Garden Copy Cat) Soup. I need some Zesty, Smoky Black Bean Soup. Winter is here and I want warm in my tummy.